Mini Vinnies is an important organisation that encourages young people to do charitable work. This year the Mini Vinnies Society has introduced a beginning of year conference to bring the students from Walcha, Guyra, Armidale and Uralla together again to spend time getting to know each other and planning what they may be able to do to help people in their local community. Our students will all attend the Mini Vinnies conference to be held at St Mary’s Armidale on the 23rd March, 2018. Mini Vinnies empowers primary school students to become advocates within their school and local community by putting their values into action. They meet regularly to learn about social justice issues, develop leadership skills and engage with the wider St Vincent de Paul Society. 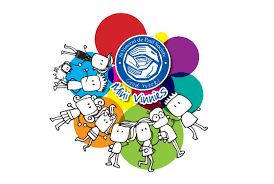 All primary schools are welcome to start a Mini Vinnies; it is not just open to Catholic schools. You will need a group of students who are interested in getting involved and a parent or teacher willing to support the group, as well as permission from the school. Mini Vinnies meet regularly and usually run fundraisers and other events on the school grounds however they may visit other schools, aged care facilities or similar for special projects. Mini Vinnies is about doing good works in the community that benefit people facing social injustice. It is also about young people meeting to talk, share ideas and concerns, to have fun and support each other. The Mini Vinnies model of “See, Think, Do” is a great way to get young people thinking and talking about their spirituality and to connect their faith with issues affecting their community through volunteering, advocacy and fundraising. Not only do the students in Mini Vinnies benefit from the experience but also the school and wider community. Some Mini Vinnies may choose to focus on their local community while others will also have an international focus by supporting the Assist a Student Program.